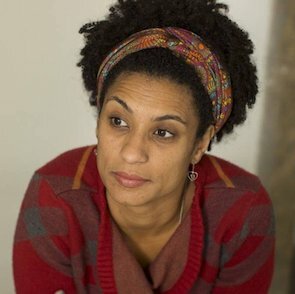 Front Line Defenders condemns the shocking assassination of Brazilian human rights defender Marielle Franco and calls on the Brazilian authorities to investigate the murder and bring the perpetrators to justice, including anyone who might have been involved in the planning of the murder. Marielle and Anderson Pedro Gomes, a colleague who was driving her car, were shot dead by two assailants, in what appears to be a targeted killing, at approximately 9:30 pm on Wednesday, 14 March on Joaquim Palhares Street, in the Central Region of Rio de Janeiro. Another passenger in the vehicle was wounded by shrapnel. In 2017, Front Line Defenders, together with local Brazilian partners, documented that the country was the deadliest for human rights defenders in the world, as reported in its Annual Report on Human Rights Defenders at Risk in 2017, with 67 HRDs killed. Despite the dangerous environment, the killing of such a high-profile HRD such as Marielle sends a chilling message to other HRDs in the country, particularly to those monitoring and denouncing human rights violations in Rio de Janeiro. As such, Front Line Defenders insists that the Brazilian authorities to bring all perpetrators to justice, including any individual who participated in the planning as well as the execution of the murder, even if the investigation leads to police or military involvement. Front Line Defenders will be closely monitoring the situation for HRDs in Rio de Janeiro in the context of the military’s role in policing and in recognition that in many places when military forces take over such civilian functions, human rights violations often increase. The role of civil society, human rights defenders and social movements becomes ever more critical in monitoring such situations and they often face increased risk for doing their work.